From the redesigned form factor and first-time metallic body, LG G5 gives users a transformative design. Complement LG G5 with premium protection from OtterBox, available now. OtterBox covers LG G5 with a full portfolio of protective cases including the rugged Defender Series, sleek Commuter Series and stylish Symmetry Series is coming soon.1 Every case design boasts OtterBox Certified Drop+ Protection, meaning it has undergone more than 238 hours of testing across at least 24 different tests. Defender Series boasts three layers of protection. The rugged LG G5 case boasts a built-in screen protector to block out scuffs and scratches from the 5.3-inch QHD display, while the hard inner shell and impact-absorbing slipcover cradle the device during drops and falls. Cover LG G5 in slim, stylish protection with Symmetry Series. The stylish case boasts full wraparound colors and slips on and off in a flash with a simple single piece form, ideal for accessing the Magic Slot. The raised bevel edge keeps the display safe from impact during face-down drops. Commuter Series delivers sleek on-the-go protection. The slim LG G5 case slips easily in and out of pockets, helps guard against drops with a tough exterior shell and blocks out lint and grime with a shock-absorbing slipcover. Defender Series, $49.95, and Commuter Series, $34.95, are available now, with Symmetry Series, $39.95, coming soon. For more information visit otterbox.com. Starting in 1998 with a line of dry boxes, OtterBox® has evolved into the No. 1-selling case for smartphones in the U.S. and a global leader in mobile device protection.2 Its diverse lineup of protective solutions for smartphone and tablet devices is the result of precision engineering, diligent testing and continual technological advancement, giving technology users the confidence to make the most of their mobile world. 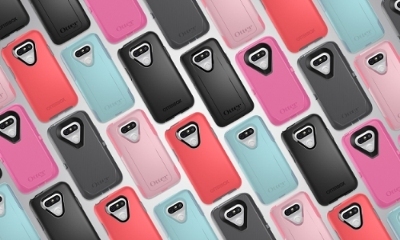 OtterBox is an eight-time honoree on the Inc. 5000 list of fastest growing private companies in the U.S. and was named one of “America’s Most Promising Companies” by Forbes Magazine. The company is headquartered in Fort Collins, Colo., with offices in San Diego; Boston; Cork, Ireland; and Hong Kong. 1 Defender Series, Commuter Series and Symmetry Series are NOT protective against water. Will provide added protection against bumps, drops and shock.